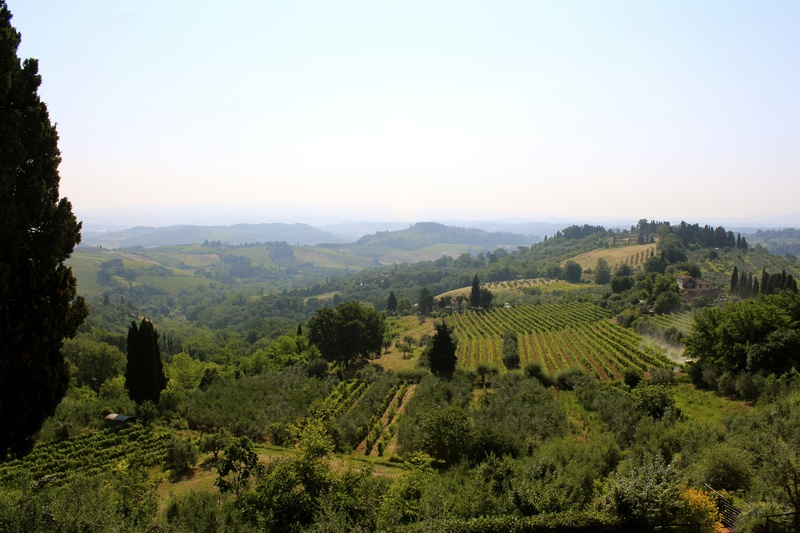 After a few weeks in Italy, Accent arranged a guided excursion to San Gimignano and Siena. 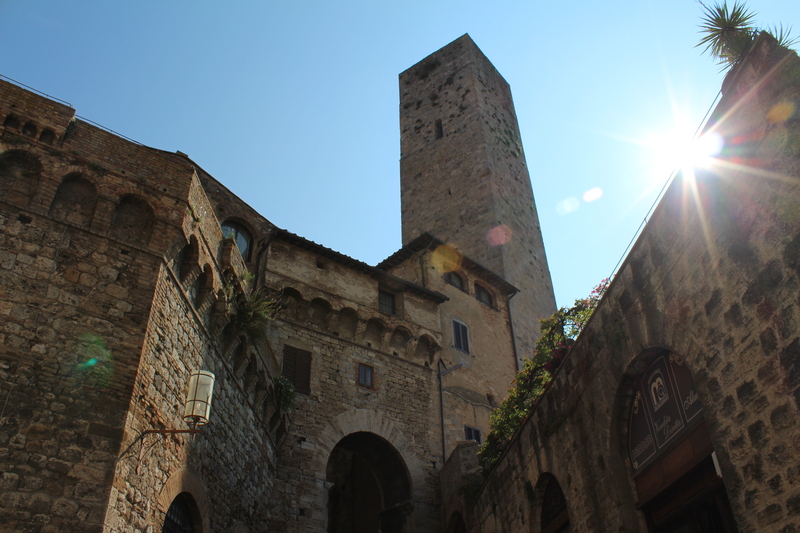 San Gimignano was exceptionally beautiful – There were stunning panoramic views, adorable shops, talented artists, great people, and an all around wonderful atmosphere. Unfortunately, we did not spend nearly enough time there as I would have liked. Luckily, just a few weeks later, I was able to return on my own for some souvenirs and additional exploration. When I returned, I ordered a belt from a local leathersmith, purchased some hand-sewn aprons, and handmade wooden kitchen utensils. I was amazed by the quality of the stuff I found (for pretty darn cheap too) when I drifted just outside the city. I grabbed a quick cioccolato cornetto (chocolate croissant) and was on my way to Siena. We arrived in Siena early-afternoon and began our day in a crowded courtyard by the Giardini Pubblici. From there we met our charming tour guide and navigated our way through the town. Together we visited multiple museums, toured the breathtaking Duomo, and other historic landmarks throughout the seventeen contrade (districts divided within the town). Each contrade is named after an animal or symbol, and each with its own long history and complicated set of heraldic and semi-mythological associations. 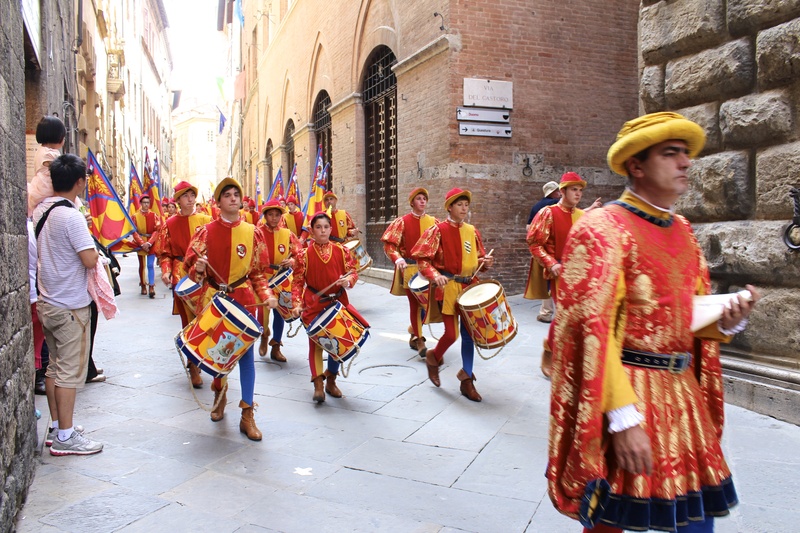 The following Tuesday was the Palio di Siena, a famous biannual race and festival set up in the Piazza del Campo. The event is drawn out as an extremely important week for locals. Many men, women, children, and even horses donned traditional Medieval attire while marching and chanting through the cobblestone streets. Colorful flags hung representing each divided contrade. I can’t even begin to explain the beauty and excitement all over the town. My photographs hardly do any justice, I will definitely have to return and watch the actual race next time I am in Siena!